LONDON – 3 December 2018 – ArgoGlobal, the Lloyd’s insurer and member of Argo Group, today announced the appointment of Paul Lucas as chief actuary, international. Lucas takes up his role immediately and will report to Bob Katzman, chief actuary, Argo Group. Lucas brings 17 years of industry experience to ArgoGlobal. He joins the company from Aspen, where he served as global insurance chief actuary. Lucas joined Aspen in 2007 as a casualty reinsurance pricing actuary, before progressing through a series of increasingly senior roles, eventually becoming the global insurance chief actuary in 2016. He began his career as a pricing actuary at Converium (now SCOR) in 2001. ArgoGlobal is the trading brand of Syndicate 1200 at Lloyd’s, managed by Argo Managing Agency Ltd. The Syndicate offers worldwide property, marine, energy, specialty and non-U.S. liability insurance. Market-leading expertise, knowledge, an innovative approach and focus on its customers, together with the substantial resources, financial strength and international scope of the Argo Group, support ArgoGlobal’s position as a leading player in the Lloyd’s Market. For more information, visit www.argo-global.com. Argo Group International Holdings, Ltd. (NYSE: ARGO) is an international underwriter of specialty insurance and reinsurance products in the property and casualty market. 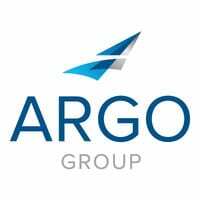 Argo Group offers a full line of products and services designed to meet the unique coverage and claims handling needs of businesses in two primary segments: U.S. Operations and International Operations. Argo Group’s insurance subsidiaries are A.M. Best-rated ‘A’ (Excellent) (third highest rating out of 16 rating classifications) with a stable outlook, and Argo Group’s U.S. insurance subsidiaries are Standard and Poor’s-rated ‘A-‘ (Strong) with a positive outlook. More information on Argo Group and its subsidiaries is available at www.argolimited.com. Argo Group International Holdings, Ltd.
International underwriter of specialty insurance and reinsurance products in areas of the property and casualty market.